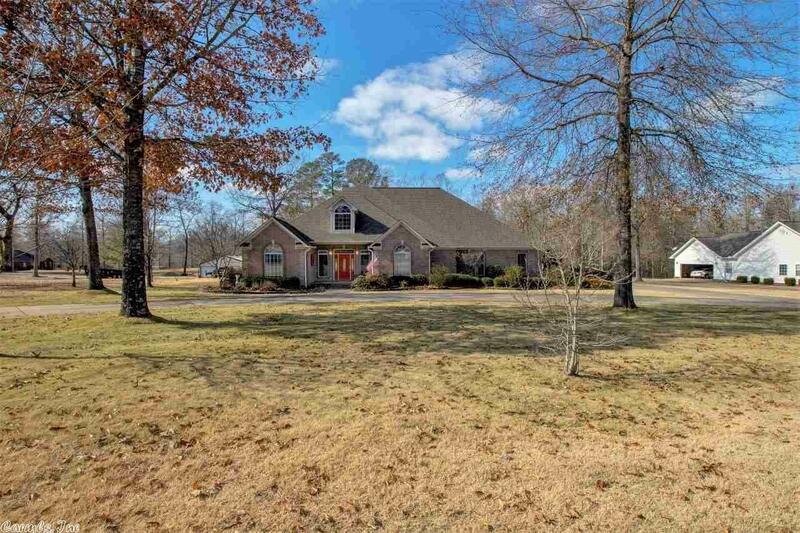 Wonderful Family Home on an acre in East End. Open Living. Split Floor Plan. Beautiful wood floors throughout with one BR carpet and tile in kitchen & baths. 3 full baths. Large laundry room w/sink. Tons of storage space. Office/den used as 4th BR. Fireplace w/gas logs & remote starter. 10' tray ceiling/LR & Master. 9' in rest of house. Whole house generator auto on & off. Extra landscaping w/Sprinkler system. 30x40 shop w/2 overhead doors. 110/220 wiring. Plumbed for bath. See Agent Remarks.